SmarterStats is comprehensive Web log analytics and SEO software that cost-effectively delivers relevant, accurate and detailed website statistics to help businesses increase conversions and maximize ROI. Ideal no matter how many websites your business owns. SmarterStats can monitor your website's performance and show you where improvements can be made. Inspect your website for errors that might be effecting its performance. Improve the visibility of your website with SEO tools. Get the most out of your website and marketing campaigns using SmarterStats various tools. Use website statistics to analyze the performance of marketing campaigns. Inspect your website for errors that could effect business and make improvements. Go beyond standard analytics and understand results with data mining. Survey your data for important user patterns. Use SEO tools to improve search engine ranking and visibility. Fully integrated with Plesk, Helm, and HostingController control panels. You can also create integration modules for your own applications. 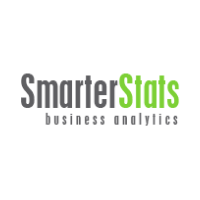 Purchase upgrades for your existing SmarterStats package.